[Salome Meca 2017 Tutorial] How to simulate a simple beam? Did you know that Code_Aster was originally developed for structural calculation? I got several requests for a “Beam Tutorial” in the past weeks since I recorded the previous video tutorial of a simple plate analysis… So here it is finally! How to simulate a beam in Salome Meca 2017? 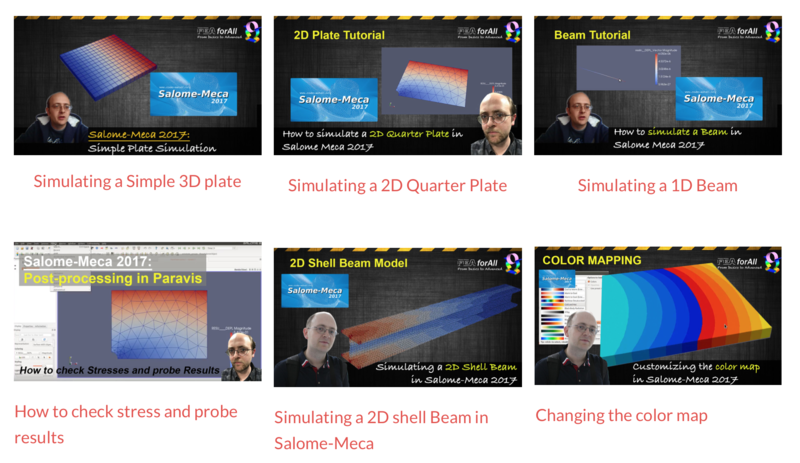 In the video, I show you how to create a simple beam geometry, how to mesh it and how to create the analysis case using the new Aster Study included in Salome Meca 2017. I tried to make the analysis quick to show the most important points first, but in case you see something to improve, please do not hesitate to leave a comment! 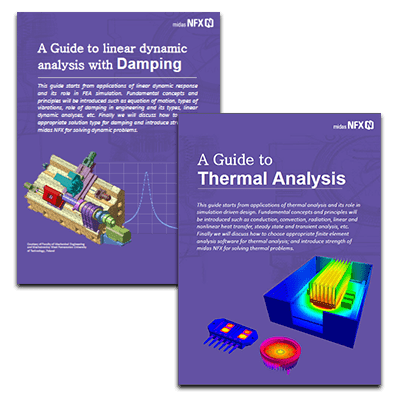 In addition to the effort Cyprian does for showing us and teaching us Salome-Meca, I found a useful reference (e-book) that is free to download: https://www.free-ebooks.net/ebook/Finite-Element-Analysis-Salome-Meca-Code-Aster. All the credits go to the authors: Syllignakis Stefanos and Petr Vosynek. Thanks a lot for the video and for the explanations. Well despite all your efforts my analysis didnt run well and ended up with an error message, I must have made something in a wrong way. I would like to ask if it is possible to share the command file what you exported (maybe for all the models?? :) ). Usually the best and fastest way to find a problem is to go through the command file but at the very beginning I do not know what I am searching for, so if I could compare my command file to yours I would maybe spot the mistake within a few minutes meanwhile my eyes would get used to the system of commands. What causes singularity in your FE model?